Get some Washi tape, better known as patterned tape. 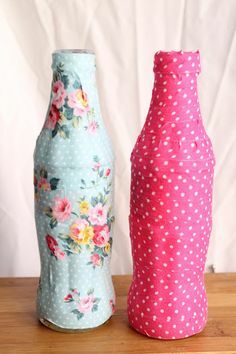 Get creative with some strips of wrapping paper and PVA glue and start pasting it around the empty bottle. It will make a lovely little single flower vase. You can even line them up and it will just spruce up any room! 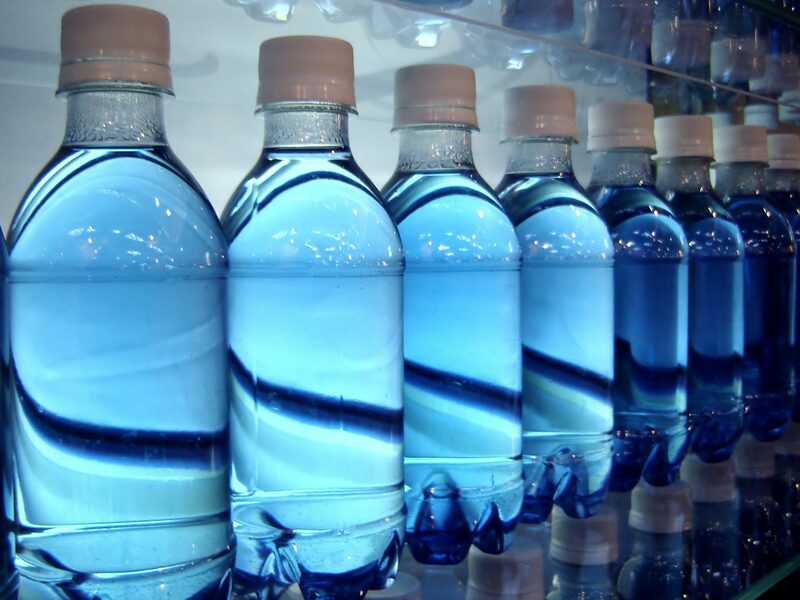 Don’t put the empty plastic bottles in trash again. Gather up some tubes and spray heads. Make sure you find the right fit for the mouth of the bottle and secure the spray head with some gaffer tape. 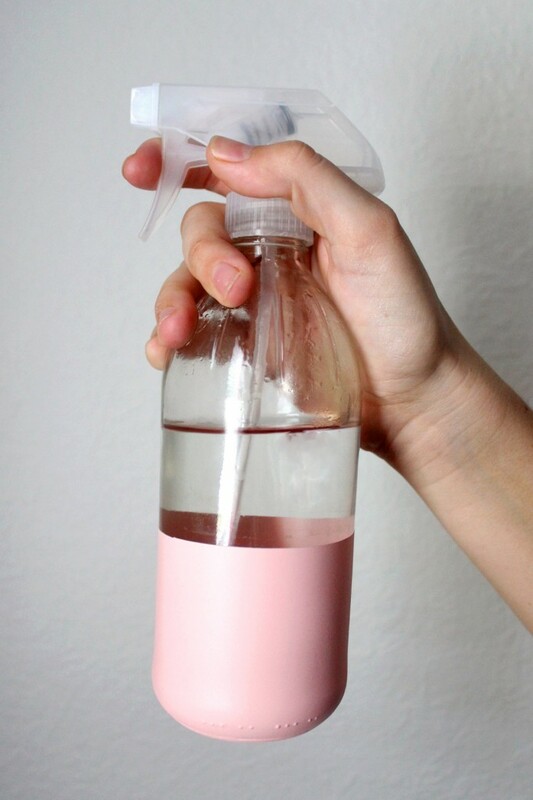 You can even spray paint the bottle for some fun and creative look ! Cut the bottoms of the plastic bottles and paint the in red or cover them in red strips of paper. 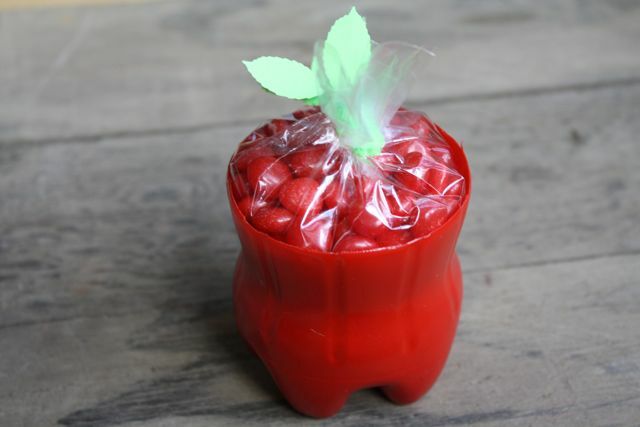 Fill a clear bag with red cherries or sweets. Tie with a green ribbon and voila! You have a cute apple cup filled with sweet treats. This is going to look great on Halloween. 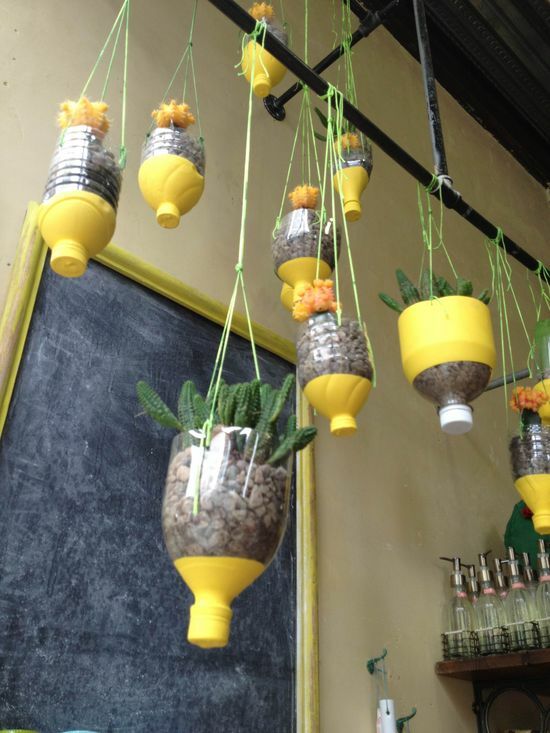 Make some mini hanging planters suitable for both indoors and outdoors. 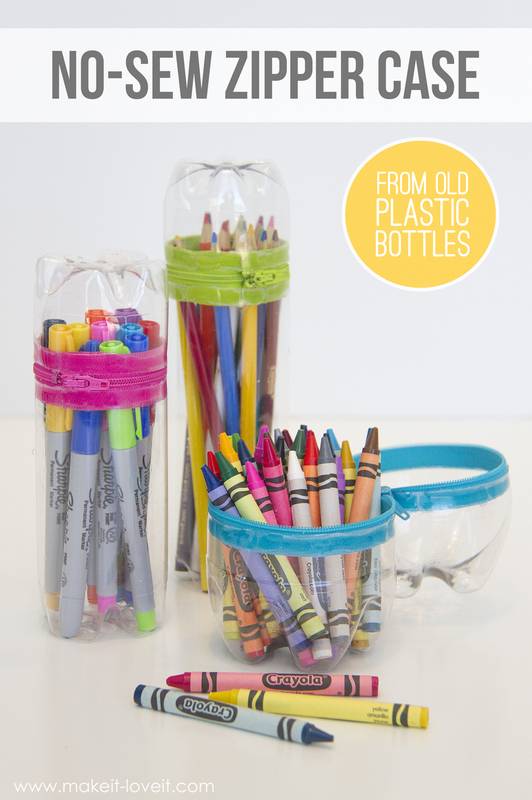 You can make these with old plastic bottles. Snip a few plastic bottles in half and punch holes through the sides –not too big so the soil would fall out- and hang the snipped bottles with some rope. You can even cover the bottles with some spray paints. You will absolutely love these! Just cut the bottles 1: 3 and pair the lower part of the bottles with another lower part of a plastic bottle. You can decide on the size of the pencil case depending on what you are planning to store in them. Start pasting the sipper with strong glue from the inside of the plastic.